^ a b c d e f g h i j k l Török, András. “Budapest”. Encarta. http://encarta.msn.com/encyclopedia_761572648/Budapest.html 2008年4月6日閲覧。. ^ “Budapest”. Encyclopædia Britannica. Encyclopædia Britannica, Inc.. (2008). 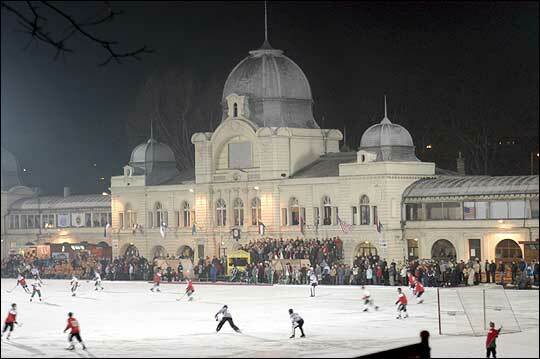 http://www.britannica.com/eb/article-9106098/Budapest 2008年1月30日閲覧。. ^ History of the Budapest Commuter Association (English)) Archived 2008年10月14日, at the Wayback Machine. ^ Settlements of the Budapest Commuter Area (Hungarian) Archived 2006年11月25日, at the Wayback Machine. ^ a b c d e “Aquincum”. Encyclopædia Britannica. Encyclopædia Britannica, Inc.. (2008). http://www.britannica.com/EBchecked/topic/31272/Aquincum 2008年5月22日閲覧。. ^ Sugar, Peter F.; Péter Hanák, Tibor Frank (1990). “Hungary before the Hungarian Conquest”. A History of Hungary. Indiana University Press. p. 3. ISBN 0-253-20867-X. http://books.google.com/?id=SKwmGQCT0MAC&printsec=frontcover 2008年5月19日閲覧。. ^ Casmir, Fred L. (1995). “Hungarian culture in communication”. Communication in Eastern Europe: The Role of History, Culture, and media in contemporary conflicts. Lawrence Erlbaum Associates. p. 122. ISBN 0-8058-1625-9. http://books.google.com/?id=be2UW6NyposC&pg=PA115 2008年5月21日閲覧。. ^ Drake, Miriam A. (2003). “Eastern Europe, England and Spain”. Encyclopedia of Library and Information Science. CRC Press. pp. 2498. ISBN 0-8247-2080-6. http://books.google.com/?id=w1Xtjiyh9XYC&pg=PA2494#PPA2498,M1 2008年5月22日閲覧。. ^ Beaverstock, J. V.; R. J. Smith, P. J. Taylor (1999). A Roster of World Cities. Loughborough University. http://www.lboro.ac.uk/gawc/rb/rb5.html 2008年5月22日閲覧。. ^ Bácskai Vera: Széchenyi tervei Pest-Buda felemelésére és szépítésére Archived 2009年6月15日, at the Wayback Machine. ^ Kiss Lajos: Földrajzi nevek etimológiai szótára. Budapest: Akadémiai. 1978. 131–132. ^ Györffy György, Pest-Buda kialakulása: Budapest története a honfoglalástól az Árpád-kor végi székvárossá alakulásig, Budapest, Akadémiai, 1997, 242. ^ Adrian Room (2006). Placenames of the World. McFarland & Company. p. 70. http://books.google.com/books?id=M1JIPAN-eJ4C. ^ Sugar, Peter F. (1990). “Hungary before the Hungarian Conquest”. A History of Hungary. Indiana University Press. p. 5. ISBN 978-0-253-20867-5. http://books.google.com/?id=SKwmGQCT0MAC&pg=PR9&dq=The+Romans+roads,+amphitheaters+Aquincum+%C3%93buda 2008年6月3日閲覧。. ^ a b Sugar, Peter F. (1990). “The Angevine State”. A History of Hungary. Indiana University Press. p. 48. ISBN 978-0-253-20867-5. http://books.google.com/?id=SKwmGQCT0MAC&pg=PR9&dq=Hungarian+university+1395+Buda 2008年6月3日閲覧。. ^ Mona, Ilona (1974). “Hungarian Music Publication 1774–1867”. Studia Musicologica Academiae Scientiarum Hungaricae (Akadémiai Kiadó) 16 (1/4): 261–275. doi:10.2307/901850. JSTOR 901850. ^ Macartney, C.A. (1937). Hungary and her successors - The Treaty of Trianon and Its Consequences 1919–1937. Oxford University Press. ^ Note: Summary population and percent is more than the "total" due to dual self-determination. DK Publishing, Budapest: Eyewitness Travel Guildes (2007). DK Travel. ISBN 978-0-7566-2435-4.